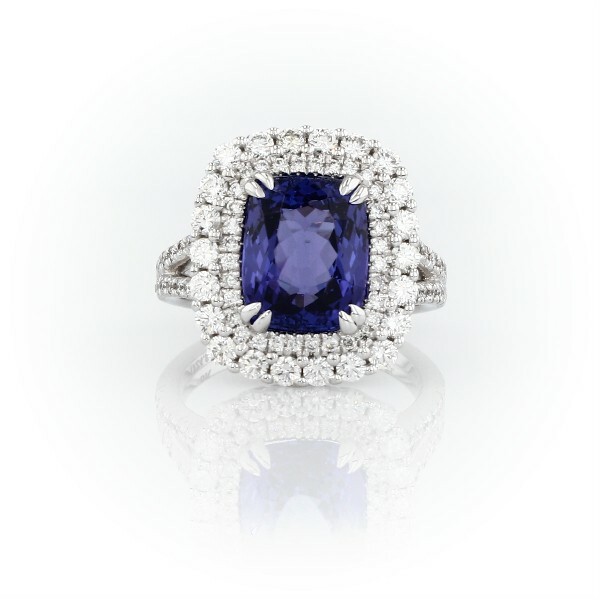 Revel in the luxurious color of this purple-blue tanzanite and diamond cocktail ring. The exquisite cushion-faceted gemstone is surrounded by two rows of brilliant pavé-set diamonds with a classic split-shank. Crafted in 18k white gold, the ring also features classic filigree accents along the side gallery for added detail.